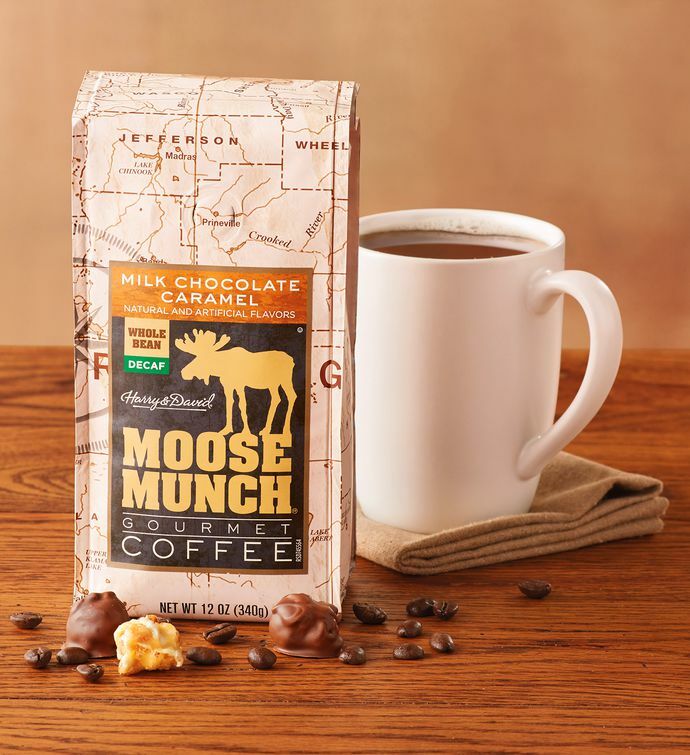 Inspired by the buttery sweetness of our iconic Moose Munch® Gourmet Popcorn, this flavored decaf coffee has notes of caramel, nuts, and chocolate. Part of our line of decaf coffee gifts, this bag of whole bean coffee offers a rich and flavorful caramel coffee to help you start the day. It's a fantastic way to order coffee online.